Club Penguin Cheats by Mimo777 Club Penguin Cheats by Mimo777: Club Penguin's Happy77 Says Ask Your Wii Questions! Club Penguin's Happy77 Says Ask Your Wii Questions! 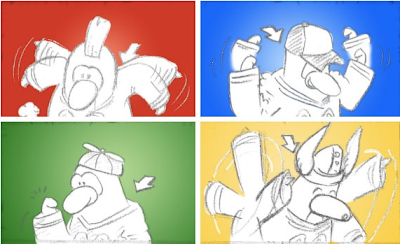 As you probably know, Club Penguin: Game Day! for Nintendo Wii comes out in September! Woot! Well, Club Penguin is going to gather up some people that made the game to answer our questions! Saweet! So, if you have a question about the game, click here. Happy77 will have the team answer the questions next Sunday! Cool, huh? What kind of question are you gonna ask? UPDATE: Check this out! Happy77 says yellow will be coming to Club Penguin soon! You'll be seeing yellow on Club Penguin really soon... :) Stay tuned - Billybob's gonna give you a sneak peek of September in the next little while. Yup for yellow. :) Waddle on! What is the game point?And will there be a yellow team? You'll pick a team and play games to try to win - There is totally a yellow team! You can be on it if you want! We have suspected this for awhile, but now we have proof! What do you think about Club Penguin adding the color yellow in addition to the red, blue & green teams? I asked will there be the same games from Club Penguin or different games? I CANT WAIT FOR THE GAME! Hey Mimo777 can you have another STAMPede any time soon at around 12pm PST? Hey Mimo, I just Club Penguin Elite Penguin Force Herbert's Revenge. maybe after the game comes out, yellow will come out. Cool! Team Red and Blue have been at war. Does this mean green and yellow are in competition? I'm so going to get it! I can't wait! That is really cool how there is a FOURTH team! Yellow is an awesome color and also really fun to say! =P I really want to get the came for my Wii. I would play it ALL the time with my friends and by myself! I wish they had a green team! yay yellow is my favourite colour! What makes this game different from any other wii games? Slow news day on Club Penguin, eh? It's no new updates really, come on CP!! I think field ops will come out at 3 PST. Cool! That game is really fun! Do ya think we can be agents in the new wii game? Its Club Penguin! This game is going to be fun and exciting!! A new team, multi-player games. And the best part is, you get to be a penguin!! Hmmm, i was wondering that a few days ago... They might be because green doesnt have a main rival team yet. Ohhhhh! Thats why we get it early! I never knew that! It all makes sense now. Im really excited too! I might wear yellow, but for now ill stick with my red basketball jersey! I hope they make a yellow basketball outfit, and a hoodie! Yeah i hope it comes out before, but after would be fine! I was always expecting another team sooner or later and I always thought it would be yellow because aren't red, blue, green, and yellow like the main for colors? Well I always thought it would be weird to just have 3 teams because its uneven so of course they should have had a yellow team. And Happy77 said that Billybob will talk about it during September so it should come out around Late September or October. Halo reach looks awesome but a lot of the kids that play CP are more... wholesome in a way or at least CP would like to get it to be like that. Well its much more family oriented than most wii games. OMG A TEAM NAMED AFTER ME! Yay :D This is gonna be sooooo COOL!